Learn how multi-platinum mixing/mastering engineer Luca Pretolesi organizes and routes every mix and master that he works on at Studio DMI in Las Vegas, Nevada. 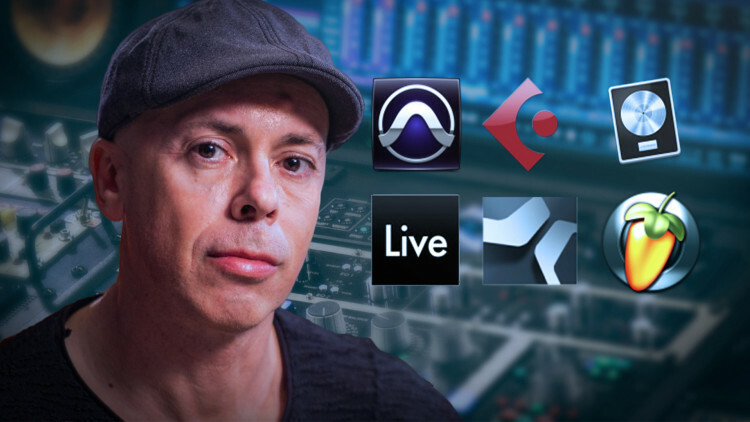 Luca walks you through his hybrid mixing setup, explaining his bussing system and session organization and then shows you how he utilizes analog processing and summing to deliver incredibly consistent and loud mixes and masters for his clients. Using a variety of gear and a fine tuned mixing system that he’s developed over years of experience is the key to Luca’s signature EDM sound that you can hear on records by Major Lazer, Borgeous, Gareth Emery, Snoop Lion, Steve Aoki and more. Of course not everyone has access to the same analog gear and summing setup so in this tutorial, Luca teaches you how he adapts his hybrid mixing system to go entirely in the box (ITB) without sacrificing the overall workflow or sound of his mixing process. 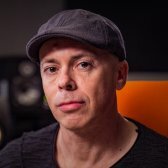 Get organized and learn how to develop your own mixing system to set yourself up for successful mixes every time based on Luca’s unique mixing workflow. 12:39 - Where Are The Reverbs? Ciao amici! Bienvenuti al studio. This is Luca Pretolesi. You are in Las Vegas, Studio DMI. Welcome to my room! I'll guide you through the template and the setup of the studio. After 15 years, actually almost 16 years on Logic, I moved to Studio One. I actually kind of translated the template that I had before. I use this kind of template for several years. Always, every year there are little changes and updates. It's very simple. My sessions are organized from the top to the bottom. Starting with drums, going to bass. Drum is broken down with Kick, Low percussion, Hi percussion. Bass as a group, it can be multiple bass. Synth high, FX and vocal. I import my track into the template and assign to the busses. Now I've get prepared to go out of the box and route through my summing. My busses are assigned to my DAs, multiple DAs in this case. Two Convert 8 and one Aurora 16. The Aurora 16 deals with everything that is mono or is drum or bass related. That goes into the 2Bus+. The Low Synth/High Synth FX and vocal are going through the Convert 8. I wanna have the best possible conversion, clean, transparent. Sometimes, I even don't wanna hear the analog, I just wanna run through. Synth Low goes to the Convert 8 one Output 1 and 2 into the Maselec 1 and 2. Synth High Convert 8, 3-4 into the 3-4 of the Maselec. Effects 5 and 6, vocal 7 and 8. Then if I have two vocals I might have two vocal busses separated. Or I just go on the same vocal bus which is the 7 and 8. On my template, on the beginning of the session, the mixer view, I have my rough and my reference channel. I'm able to load my rough reference and put that out on analog, hardwired to the console with my Convert-8 two dedicated to that. I wanna have the same conversion, same level and same quality. So the input 2 of my Maselec MTC 1X is dedicated for the rough. The three is for the reference. And the DAW input on the console is dedicated for the final mix that's been captured. The 2-Bus+ is handling the drums, the input 1-2 is dedicated for the kick. From the Aurora 16 goes into the Neotek which is my kick little insert for about 8 years now. And from the Neotek I go to the input 1-2. Now, based on the source, I might work in mono or just leave in stereo. The mono is pretty great. As far as the Low percussion, I have the 13-14 that is dedicated to that. The Hi percussion is on 15-16. I like to use the Paralimit most of the time on my Low percussion to bring low level information up. And I like to use the Harmonics sometimes on the High Percussion. My 2Bus+ is handling Drums and sometimes Bass. A very import element on my Drums is the insert. I like to have a hardwired insert that I like on my drums. And in this case, the 1202, the old good Audioarts 1202 is hardwired to the 2Bus+. I like to mix drums into that. The 2Bus+ goes into the Maselec input 11-12. That acts as an amplifier, it brings all together. And I use my output level of the 2Bus+ to have kind of my Drum master volume. The final sum is into the Maselec. They work as an amplifier. I have a little bit of gain staging if I want for the entire mix at this point. Then I hit my console. The console works, on the first stage of my work, as a stereo bus treatment for the entire mix. So I hear the input 1 that is dedicated to the Maselec summing and then from here I have six inserts that I use into my mix. To have the best possible quality, I decided to hardwired my insert. I like the sound of the cables, they're very transparent. And the first two inserts are very important for me. The first 2 inserts are a Dangerous Compressor and the BetterMaker. These are really important for the sound of my mixes. So I mix into a compressor and an EQ. The Dangerous has this amazing external side-chain that I put at good use. And I felt the BAX EQ is the perfect EQ for that. So, I like to insert a Bax EQ just to control the side-chain on the detector and be able to free them if and where you wanna cut. After my first phase of mixing I start to think about the mastering stage of the mix. Or I can also call it a finalization of the mix. My insert 3 is on the Charter Oak. There is a reason behind. I have at this point, a very clean approach, I need some color. And my color usually happens on the low band and on the high band. And that's the Charter Oak work. After the Charter Oak I go into a compressor. In this case it's 99% of the time a parallel compressor. And the way I use the P 30S is essentially route to the patch-bay because I like to use and old Rasma to feed into that. And we're gonna talk about that later. And this is my parallel compressor on halfway of the mastering stage. Insert 5 is the Bax EQ which is my final stage to filter before I go into the PL 2. Always hardwired to the console which is my final stage of limiting. Before I hit my converter which is a Prism Lyra that I like a lot. Let me take you to the rack side and the patch-bay. The Convert-8 one is on the patch-bay. I wanna have the freedom to patch directly into the Maselec summing or go into the 2Bus+, if I need. Or insert it in any other unit. Convert 8 on the patch-bay. Convert-8 two is hardwired to the console. Again, for monitoring my rough reference and final mixes. I have a Convert 2 which is dedicated for 3 simple purposes. Play on a laptop of a producer that has come to the room, they wanna access to USB hardwired no driver, just go for it. And then I can go ADAT optical which is the optical from the actual Mac Pro, watch Youtube, anything you want, without bother any other unit by hitting always the same conversion. And also, the flexibility to have a pot that I can lower the level if the producer is sit next to me and we're talking. After this, we have the Aurora 16. The Aurora 16 has 8 outputs that are on a patch-bay and 8 outputs that are hardwired to the 2Bus+. And I like to use the flexibility of those 8 outputs to just route everywhere I want. After the patch-bay we have the Monitor ST which is a great unit for monitoring. In my case it works as a headphone amp. And it's getting signal from the meter output of the console. So I'm able to do final touches on my mixes on headphones and go over between rough, reference and mixes or different mixes and be able to monitor everything through the Monitor ST. I have an API A2D which is a microphone preamp that is there because sometimes we do record vocals and this is ready if we need. At bottom of the rack we have Ramsa power-supply that has been rebuild since the old unit and this feeds power to the Ramsa console. The Sidecar Ramsa that I love so much, this 1978 little console, is four channel that are going into the patch-bay and I have the flexibility to really patch this everywhere I want. Most of the time channel 1 and 2 it's for use on snare if I wanna really crunch and do some natural saturation on guitars. And the channel 3-4, believe it or not, is used on mastering to feed into my parallel compressor. Let me do a little recap. We have stems on Studio One. All the busses are then spread to 2 summing devices. Drums in the 2Bus+, and Synths, FX and Vocals in the Maselec summing. The 2Bus+ feed into the Maselec as a final summing into my console. From that point on we go back into the box with a Prism AD. Print the track and monitor post conversion. You might not have this setup and this analog work-flow but actually, we translated it in the box template so you can download it. With the same principal of the hybrid setup where I load all stems and I organize by color and I hit the bus I do essentially the same in the box. In this case, after stems are organized in the right order from that point on I bring back all my session, the actual buses. I wanna visually see my busing on my sessions with my stems. That helps me with automation and organization and move the session with the mixer. As I prepare my session for my hybrid mix using analog, when I work in the box I drag the rough and the reference on the actual session, when I actually mix in this room that I can monitor in analog way. If travel, I use Mcompare to do the same thing. So I put my Mcompare on my main output bus. Then from there I'm able to go between reference, rough and the actual mix. I like to keep the flow as I mix on analog domain. I have my kick bus my Low percussion and my Hi percussion bus go into a Drum Bus. This time, into my DAW. When I use out of the box, that's the 2Bus+ duty. So my Drum Bus hits the Stereo Bus. The Stereo Bus equal to my console go into a Master Bus which is equal to post conversion going back into the box and to do a final stage of mastering. The Bass Bus, 90% of the time goes into the Stereo Bus. Sometimes I route it to the Drum Bus, based on the track. I have the Synth Low, the Synth High, the FX the Vox 1 and Vox 2 hit the Stereo Bus. Now, sometimes my Vocal Bus is just one or sometimes when I have information that I like to spread a little more I route to 2 buses. I have a go-to setup on my Stereo Bus, essentially replicating my analog side, which is compression and EQ. Since I have more flexibility being in the box I use 2 compressors for two different purposes. I have a color compressor which is SSL Bus Compressor, and I have the Pro-C 2 to do the mid-range compression that I like so much. I do a little bit o EQing after that and I always go between Bax EQ or the Maag EQ4. From the Stereo Bus I go into my Master Bus. And this happens towards the end of my mix. When I actually start to clip my converter. You say: "But you don't have a converter, you are in the box". I clip my actual limiter that is an emulation of my converter. So the StandardCLIP is actually being clipped as a converter. The multi analyzer actually is sit on may main output, by the same time I wanna be able and be flexible to monitor my individual busses. So, each bus has multi analyzer channel. So I'm able to open any channel that I want. And monitor at the same time all my busses. Color coded as my session. On my main output I keep a couple of utility plug-ins. My level, which is fun to watch and give you and idea of headroom. My BX meter that I use in the box to be able to go between Mid and Side and solo the Side, something that I do a lot. A like to have the Hornet that is like a VU meter, essentially. When I start my session I wanna make sure that I do proper gain stage in a certain space so I use the Hornet for auto gain and find the 0 Db VU. I don't use any presets as far as reverbs and delays. What I do is kind of unique. Essentially, 90% of the time I mix material that's being someway processed before. I really don't have a go to reverb and delay. My template for my Stereo Bus process is already in. It doesn't mean that you can use or own go-to compressor or EQ or your special sauce on the Stereo Bus. That's my way of doing it. The rest, the color, the system, the placement, it's there. Studio DMI Las Vegas. Ciao ciao. A presto! Luca Pretolesi is an italian born mixing / mastering engineer who currently lives in Las Vegas where he works at Studio DMI. Luca specializes in Electronic Dance Music where he strives to bring fresh perspectives and focuses on bringing out the emotions behind unpolished sounds, demos and future hits. After 20 years of experience in the industry, Luca managed to build a unique hybrid analog / digital mixing setup where we successfully blends the best of both worlds. Plug-ins allows him to work with the precision that EDM and mastering often require and his custom made pieces of hardware and high-end pro equipment help him bring a final analog touch and warmth to his sound. Luca has worked with the biggest artists of the EDM scene such as Diplo, Major Lazer, MakJ, Lil Jon, Savoy, Gareth Emery, and Snoop Lion and more. Watch Luca's videos on pureMix and see for yourself how Electronic Dance Music hits are made. It's always a pleasure to listen to Luca Pretolesi! Amazing video! Tnx!!! Thanks! What does the Audioarts 1202 bring to the drum bus? If you had to approximate it with a plugin, which would you chose? Very cool. But there is no ITB version for Studio One in the folder. Am I missing something. Currently, I can't use the Studio One and Ableton Live templates since they are looking for Audio Unit (AU) versions of the plugins. I use VSTs though since I have a Windows 10 PC. Short and sweet, packed with information! Luca's mix/master chain blows me away and I'm glad pureMix included the "in the box" version for all of us to try at home on our own. Great work as always PM team! Excellent, more from Pretolesi ! !